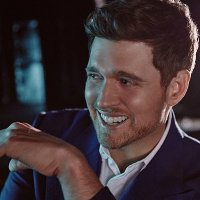 Grammy-award winner and housewife's choice, Michael Buble, has announced further dates around the UK (and Ireland) to counteract the sell-out Spring tour in May. The new run will begin in Ireland with two dates in Dublin on September 24th and 25th and tickets are on sale now priced at €65.70 upwards. He then leaves his craic (oh behave!) behind for extra UK nights beginning in Sheffield on September 27th, continuing to Newcastle (28th), Nottingham (30th), London's Wembley Arena (2 nights - Oct 2nd and 3rd), Manchester (6th) and finally (or is it?) Birmingham on the 9th. Tickets will cost from around £50 upwards and will go on sale at 9am on Friday 12th March. His recent fourth studio album, 'Crazy Love', has so far reached number 1 in seven countries (including ours) and provided him with his first Top five hit, 'I Just Haven't Met You Yet'. This second leg of his Crazy Love Tour will continue on to other parts of Northern Europe during October. After what was a pretty manic Friday (12th March), Michael's trio of London dates have now sold-out. The only dates now available with tickets at face value (£50 for UK, €65.70 for Ireland) are: Dublin (Friday and Saturday 24th/ 25th September), Monday 27th September in Sheffield, Thursday 7th October in Manchester and Sunday 10th October in Birmingham. Both the Manchester and Birmingham date were added yesterday morning - as was the third London date.